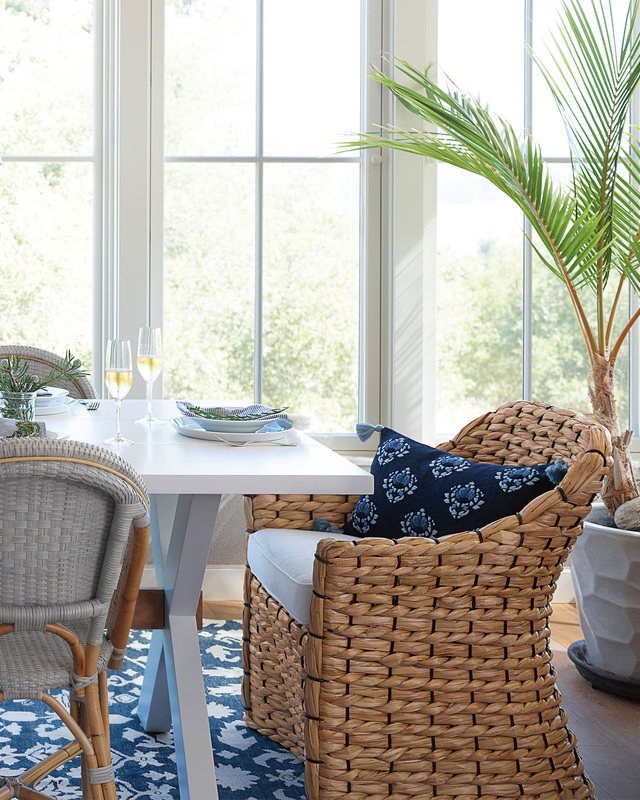 Islesboro ChairIslesboro Chair, alt="Islesboro Chair, "
Print Chic around a table, a great accent piece for the living room, our chair adds natural beauty wherever it goes. 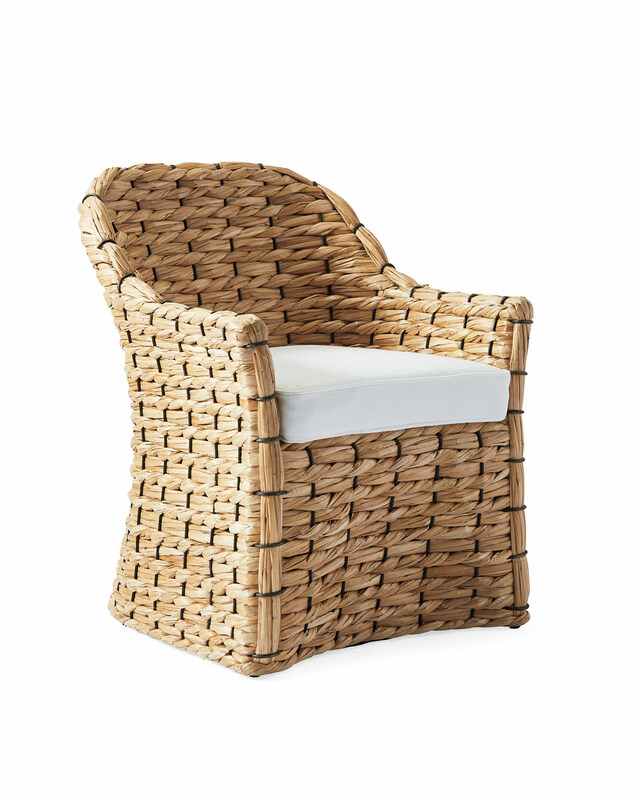 Handwoven water hyacinth – a surprisingly strong material – is accented with strips of black rattan for a sophisticated note. A cozy cushion relaxes the look. 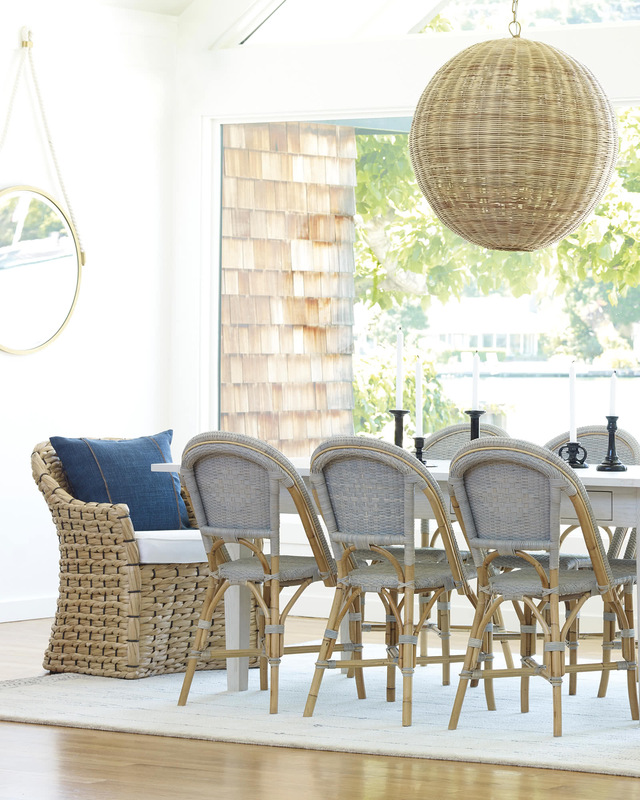 Solid rattan frame with natural finish. 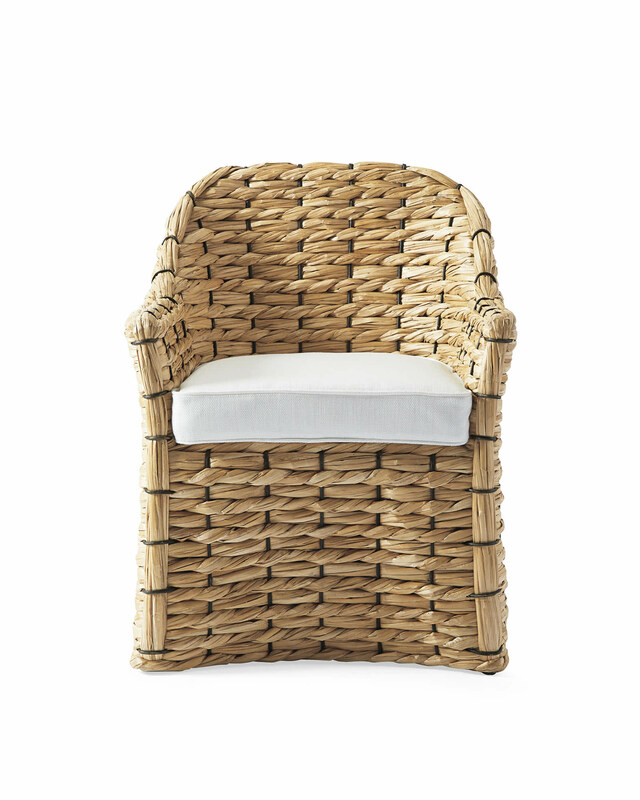 Handwoven water hyacinth with black-dyed rattan accents. Keep dry and use a soft bristled brush to clean between weaves. 26”W x 27”D x 33”H overall. Cushion: 19”W x 20”D x 3”H.